Steve’s breakdown: Please note this post is free with registration. It’s just that sometimes I have to do my job even though it’s reporting on a story like this. Anywho, if you’re part of Omnicom, get on the horn to the biggest fish you know in regards to this news. There, I’ve done my job. NEXT! PURCHASE, NY: PepsiCo has put its flagship soda brand in creative review in the U.S., but the brand is only considering a handful of Omnicom Group agencies, according to people familiar with the matter. The marketer has a long relationship with Omnicom, but in recent years has moved assignments around, including handing some work to non-Omnicom shops such as the independent agency Mekanism. The review signals that Pepsicould be returning to a lead agency model. Its restriction to participants from Omnicom is good news for the agency holding company, although there could be winners and losers within it. Brand Pepsi spent $192 million on measured media in the U.S. in 2016, according to the Ad Age Datacenter. Historically, Omnicom’s BBDO is most closely linked to Pepsi as the maker of famous campaigns like the “Pepsi Generation.” Pepsi moved away from BBDO in 2008 as it began working with TBWA/Chiat/Day Los Angeles. The Pepsi review comes three months after the brand’s embarrassing Kendall Jenner ad flop, which many outsiders blamed on the brand’s reliance on its in-house agency. However, that ad was overseen by PepsiCo’s global team. The Omnicom review is confined to the U.S. market and overseen by U.S. executives. In the U.S., Pepsi is overseen by Greg Lyons, who took over as chief marketing officer for North American beverages in February. Lyons’ PepsiCo tenure includes a stint as VP-marketing for Mtn Dew, which has used BBDO over the years. Outside of Omnicom, PepsiCo uses WPP’s VML, which was named lead creative for Brisk last summer. Dentsu Aegis Network’s Firstborn has been the Pepsi brand’s lead digital creative shop since October. Cheil Worldwide’s Barbarian Group, which was undergoing a number of executive departures at the time, had been the incumbent on both Brisk and Pepsi digital. 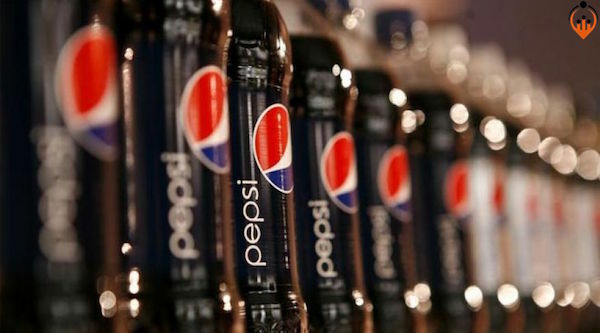 Nooyi added that the company will be “allocating a bit more marketing behind” Pepsi in the year’s second half. Pepsi is an NFL sponsor, so a good chunk of that new advertising will likely be occurring in the fall.